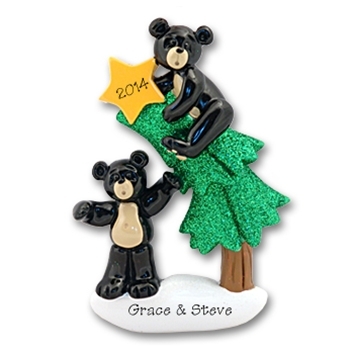 This bear couple is pooling together their resources so that they may add the star to the top of their tree. Just enough glitter on the snow to give it that special sparkle.Made from RESIN, hand painted and designed by Debi Allison. Comes complete with hook and satin ribbon for hanging.